Consumer-Opinion.com Review: How Does it Work? Doing surveys online is a common way to make money from home. While no one is ever going to get rich doing it, if you do it enough and have a solid system, you can make a decent side income. The problem is knowing which sites to sign up for and which ones to leave alone. What category does Consumer-opinion.com fall into? 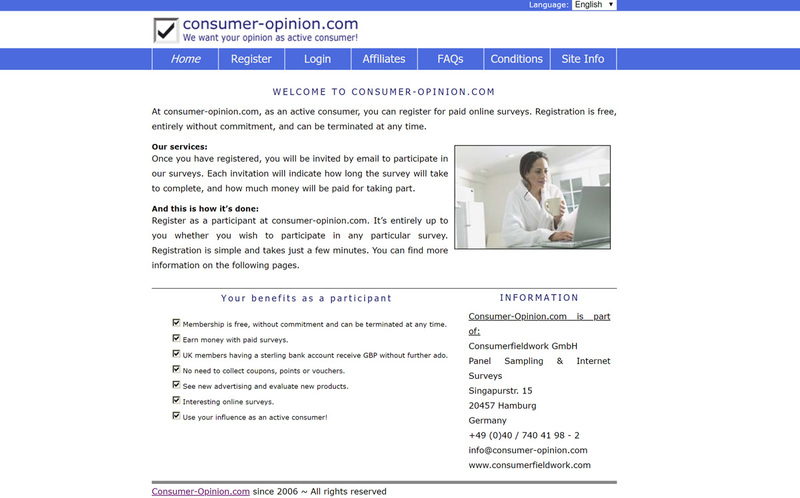 Consumer-opinion survey is a standard paid survey site operating out of Germany. They accept international panelists to take surveys on a voluntary basis. After you sign up, you will be sent survey invitations via email. Each invitation will explain how much the survey is worth and the amount of time it is expected to take. You can then decide whether to take the survey or not. There is no obligation. This is where you can run into trouble if you are in the United States. They pay in euros only. You have to have a sterling account at an EU bank to get paid. While that isn’t impossible in the United States, it sure is a lot of hassle for what is likely not a lot of money. There is no indication that there is any other way to get paid or to get paid in another denomination. The minimum cash out amount is 10 euros. Probably not. Most surveys pay just a few cents to a few dollars per survey, and rarely does anyone make more than a few dollars a month, if that much. If it is easy money and you do not have to jump through a lot of hoops to get it, then it is nice to have the extra cash. 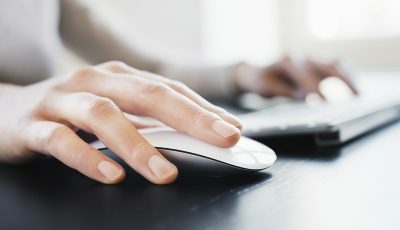 However, it could be a big pain to set up the type of account needed to cash out from Consumer-opinion.com. It may be even more of a hassle to actually get the money. Is Consumer-Opinion.com Legit, or a Scam? It appears to be legit. I don’t see where they ask for money or credit card information at sign up. There is no information on them with the Better Business Bureau, but that is because they are not an American company. I do not see any scam red flags. While I do not feel this site is a scam, I do not recommend it to those in the United States looking to take surveys for money. There are just too many other options that we know more about, and that do not require an account at a bank in the EU. Consumer Opinion is one such site. You could also check out our top recommended sites. These include SurveyJunkie and MySurvey. These are the sites that we feel offer the most potential for pay out over the shortest amount of time. See our in-depth review on each one on this site for more information. Be sure to sign up for more than one to increase your earnings potential. Sign up for all recommended panels even! Then, when you have a minute to take a survey, you are more likely to have one available. If there is nothing on one site, then try another. Clarion Research Surveys Review: Do They Really Pay You to Take Surveys? Bellwether Paid Survey Review: Closed, What Now? Consumer Link Paid Survey Review: Are They Still Worth It? Vividence Research Paid Surveys: Can You Still Sign Up? Expert Paid Survey Reviews Copyright © 2019.